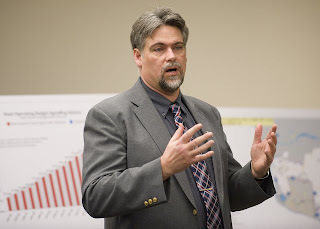 Washington state Rep. Ed Orcutt, a ranking member of the State Transportation Committee, argues that bicycling is bad for the environment and says bike riders should have to pay a tax to help maintain the state's roads. Orcutt made his comments in an email, which was posted by the Cascade bicycle club blog on Saturday. In the message, Orcutt states bike riders pollute the environment because they produce more carbon dioxide than car drivers. The email from the lawmaker, which was written to bike shop owner Dale Carson, goes on to say that because bike riders have an "increased heart rate and respiration," the act of riding a bike "results in greater emissions of carbon dioxide from the rider." "Since CO2 is deemed to be a greenhouse gas and a pollutant, bicyclists are actually polluting when they ride," Orcutt wrote in the message, which Carson provided to The Huffington Post on Monday. Writers of the Onion watch out--the competition's coming right at you. I just finished reading Straightjacket Society by Masao Miyamoto--a book that was given to me about ten years back by a Japanese friend. 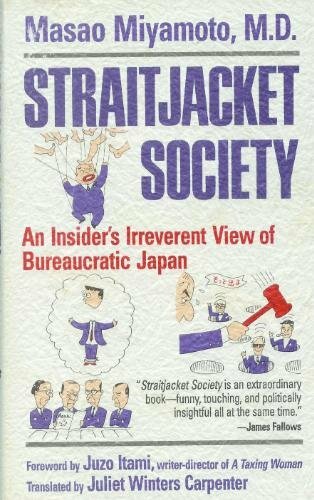 Since this short work is basically one long rant about how consensus-driven collectivist Japan should be more like the individualistic rational West, there probably isn't much that will strike the western reader (especially those who have lived in the Confucian societies of NE Asia) as novel. I should add that, notwithstanding Miyamoto's portrayal of the West as a great bastion of rationality and fairness, many of the complaints could be made about any bureaucracy. Paper-pushers everywhere try to protect their tiny enclaves and funding, punishing anybody who opens them up to greater scrutiny or threatens their ongoing existence. On the other hand, since the book was written back in the heady days when Japan was on top and most top-sellers were telling us that we all had to become more Japanese, the book was prescient. It's also a reminder of how the benefits of collectivism (low crime, security, economic stability, .... the list goes on), are always offset by tremendous sacrifice as individuals must sublimate their desires for some nebulous notion of "the greater good." For a more positive review, check out the Tokyo Damage Report.